Influenced by the design of the 60s, the screen by red edition fits elegantly in every interior. Made of solid oak, the Divider inspires by its brass details and curved elements, which skillfully transport the retro charm of past times. With the wooden Divider, different living areas can be airy and light-transmissive separated without darkening these. For even more stability, the Divider can be simply attached to the wall, if necessary. 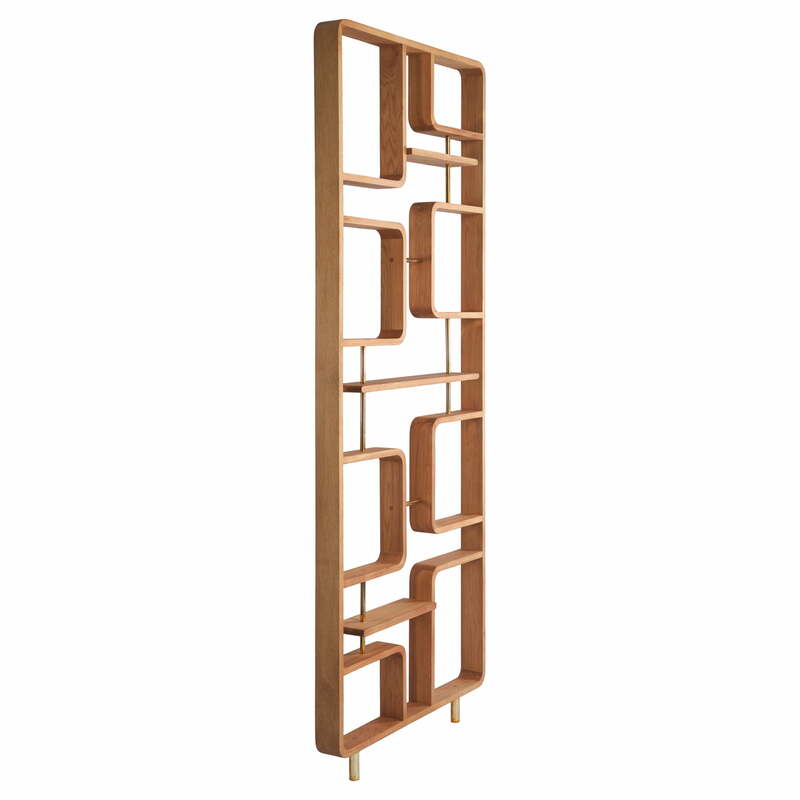 Single image of the Divider made of oak by red edition. 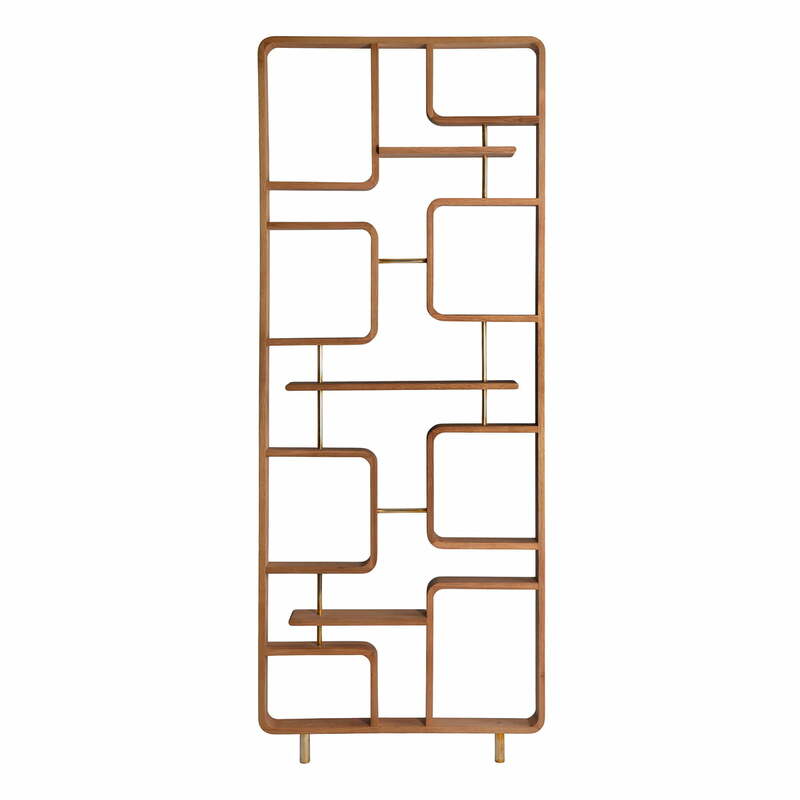 The screen of red edition is manufactured from solid rubber wood and brass elements. The divider functions as room divider as well as a screen. Lateral image of the Divider by red edition. Influenced by the design of the 60s, the screen by red edition fits elegantly in every interior. 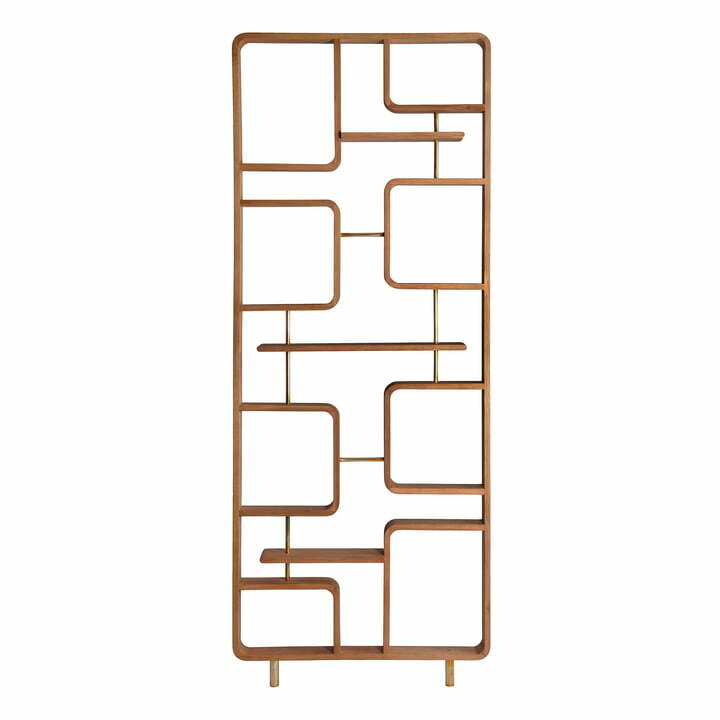 It consists of solid amber-coloured rubber tree wood with a lacquer finish and brass elements. 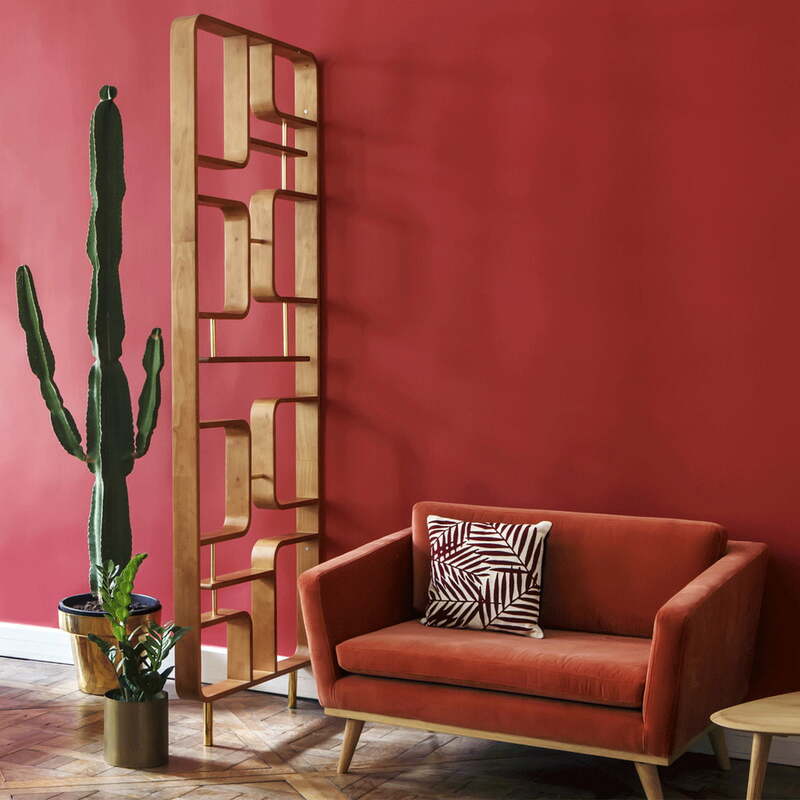 The divider and screen by red edition is a decorative element as a room divider and goes particularly well with the furniture from the Fifties Collection by red edition.